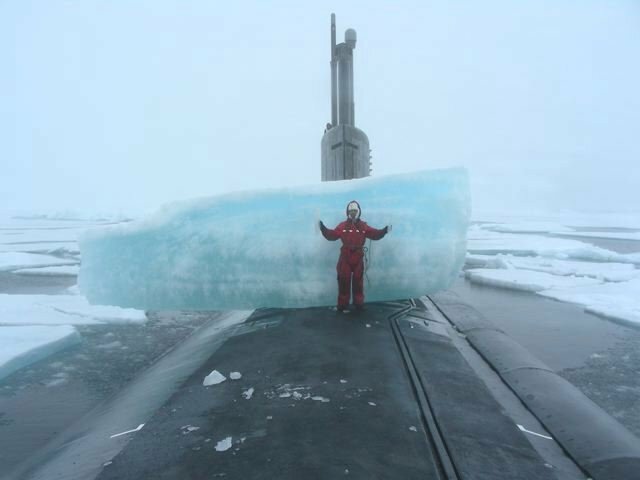 On deck after breaking through arctic ice. 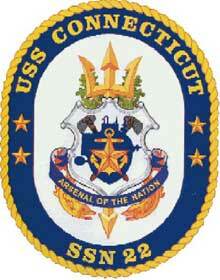 We are the Western Connecticut Council of the Navy League of the United States. We proudly "adopted" our state's namesake ship, USS Connecticut (SSN 22), effective June 2016. 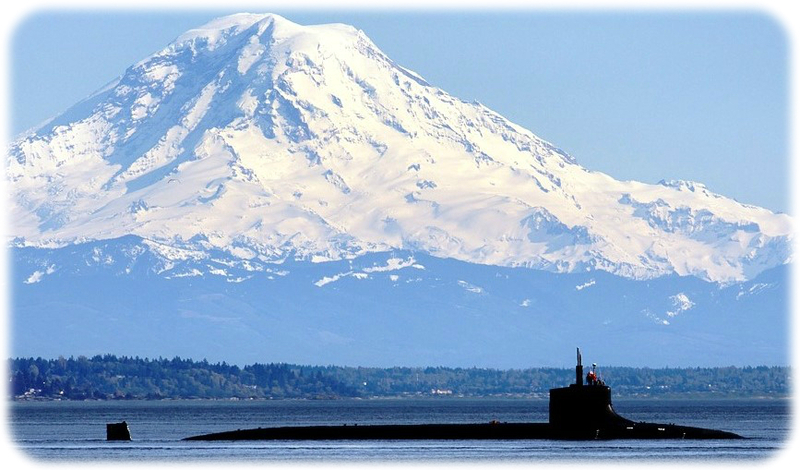 The Seawolf class attack submarine, whose motto is "Arsenal of the Nation" in recognition of our state's history, is based in Bremerton, Washington. For details of this exciting news, see our press release here. 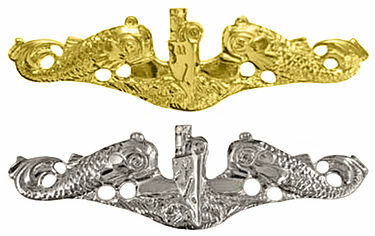 For details on our Council or the Navy League, visit our main website here. See news summary at bottom of this page. Come back for future updates. Latest update = May 9, 2018. We will support the dedicated and hard-working officers and crew of this powerful submarine that stands ready in freedom's defense. We will assist in recognizing its chosen Sailors of the Quarter and of the Year. We will sponsor members of ship's company in making visits back to our home state of Connecticut, where the sub was built, and be pleased to honor their service when they visit. We will publicize the ship's activities within our state and beyond. We will look for other opportunites to further support the "Double Deuce". In the Pacific with USS George Washington (CVN 73) in 2009. You can contribute to our efforts in support of the USS Connecticut by becoming a member of the "Double Deuce Club". Click on the "membership" tab along the top of this page. Our Council is an IRS 501(c)(3) non-profit organization, so any contributions are tax-deductible. 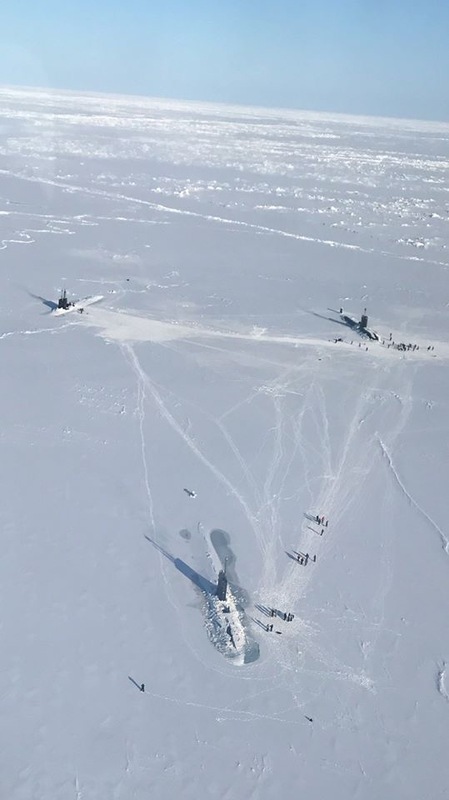 This is a 6 minute CNN video from 2011 that includes USS Connecticut surfacing through arctic ice and underway interior scenes, too. (Note that if you have any "ad blocker" software running, you may need to pause it to see this video). "Since we last spoke, progress on CONNECTICUT has been impressive. July was packed with training and preparations for our Post-Overhaul Reactor Safeguards Examination (PORSE). The inspection team gave us a good look, liked what they saw, and we passed the examination! It was a huge win for the Crew. Following the PORSE, we spent a bit of time making the final preparations to startup the reactor and engineroom. Then on 16 August at 12:08, and 22 seconds, we took the reactor critical for the first time in 51 months! A few hours later, we shifted the electric plant and divorced from shore power…we were now operating on nuclear power! It was a great day and the Crew performed superbly. We are loading our weapons handling skid today in preparations for the final grooming of the Torpedo Room and weapons handling system. All in all, August has been a great month for CONNECTICUT." We thank the Captain for this update, and wish all aboard continued success as they prepare their sub to again join fleet operations after a lengthy stay in the yards. "Seapower", the international magazine of the Navy League, featured a story about our Council adopting the USS Connecticut in its September 2016 edition. To read the article, see pages 65 and 66 of the edition here. December 30, 2016 update: we learned that the submarine got underway for sea trials after the lengthy stay in the yards of over 4 years. Below at bottom are 3 photos as they were getting underway. Congratulations. January 31, 2017 update: we received another update from the CO that was written for the crew's families and for us. Here it is: “CONNECTICUT Families! Happy New Year! 2017 is off to a great start. That being said, 2016 was a tremendous year. We completed the shipyard period and went to sea! I can think of no greater reward for the Crew than to be free of the shipyard. Also, CONNECTICUT earned two awards in 2016. First is the Engineering Readiness Red “E.” This is presented to the ship in the squadron with the best and most successful Engineering Department. However, it takes the entire crew to make the Engineers successful, so this is an award for the whole ship. 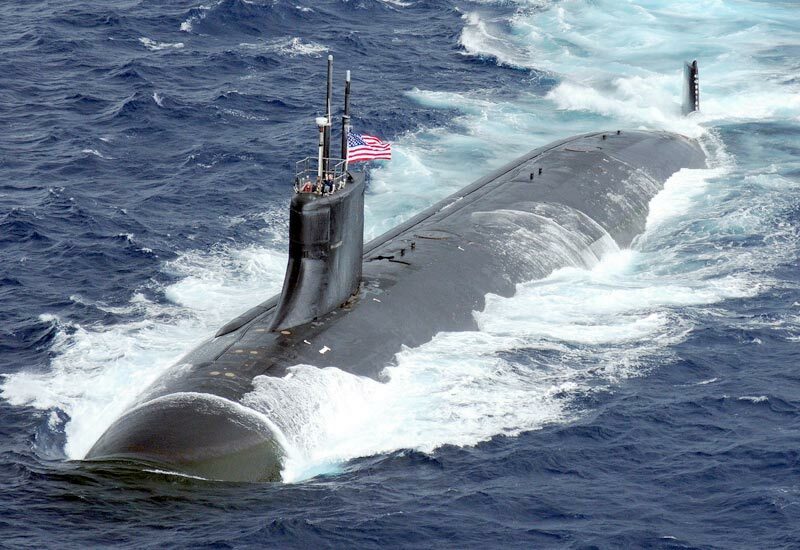 I’m also extremely proud to report CONNECTICUT was awarded the Personnel Readiness White “P!” Technically, CONNECTICUT is not even eligible for this award, but our performance in the area of personnel readiness was superior to every other ship in the submarine force! Because of this, my boss received special permission to award us with the Personnel “P.” This award is truly an entire CONNECTICUT FAMILY award…we would not have been so successful without the support from our family and friends. Thank you for helping the COB, XO, and I take care of the Crew and congratulations to all of you." Bravo Zulu to all aboard for these important accomplishments. May 15, 2017 update: CDR Carl Trask, from Glendora, California, relieved Cmdr. Brian Taddiken, as commanding officer of our adopted nuclear submarine. "When I look at this crew, and I see all that they have done, I see the greatness that is America," said Taddiken. Under Taddiken's leadership, the crew completed a 54-month depot modernization period, which was immediately followed by an Eastern Pacific deployment only three weeks after leaving the shipyard. The sub earned the Retention Excellence Award, two years in a row, and had the lowest unplanned loss rate in the entire submarine force. In 2016, the ship was awarded the Engineering Readiness Red "E". They also received the Personnel Readiness White "P", which is an award that the ship would not normally be eligible for because they were in the shipyard. 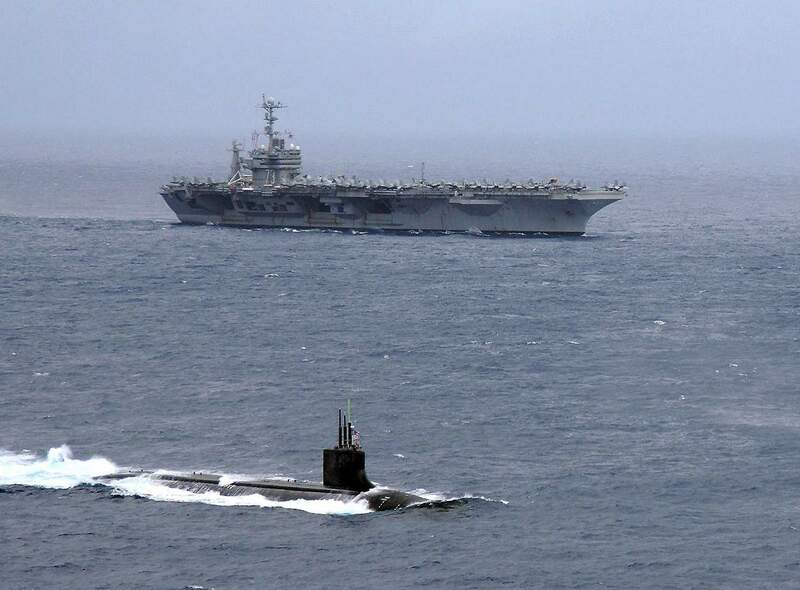 Connecticut is one of three Seawolf subs. Originally intended as a class of 29 submarines, the end of the Cold War and budget constraints led to the reduction. The class is significantly quieter than any Los Angeles-class submarine, faster, has more torpedoes tubes, and can carry more weapons. Our Council wishes the new skipper and crew continued success in their upcoming deployment; and very best wishes to the outgoing skipper. October 25, 2017 update: the submartine was reported in August to be operating off San Diego with the nuclear carrier USS Theodore Roosevelt (CVN 71) and her escorting ships, as part of that strike group's Composite Training Unit Exercise (COMPUTEX). This extensive exercise is done in preparation for an overseas deployment of the group, and includes all warfare specialities including anti-submarine warfare. 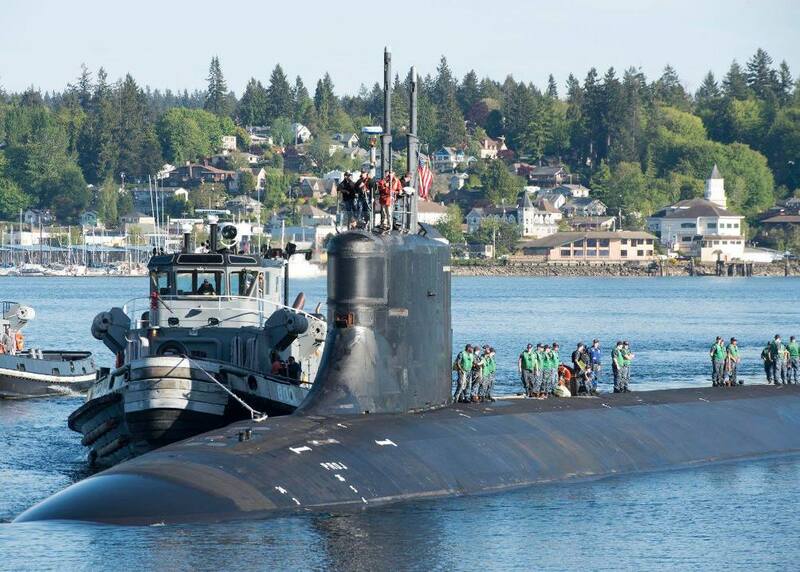 In late August 2017, the sub returned to homeport Bremerton. On October 17th, the submarine was reported to have made a brief stop at Naval Base Point Loma, San Diego, so is again operating off southerm California. Our Council wishes the officers and crew continued success as they hone their skills on this formidable warship, operating in our defense! we conducted multiple surfacing evolutions and had ice liberty for almost all of them; crew played football, soccer, and even golf. we had a successful DV [Distinguished Visitor] cruise, where we hosted the VCNO [Vice Chief of Naval Operations], senators, congressmen, and British military and civilian guests. overall it was a lot of fun and the who;e crew really enjoyed the uniques experience. We have now focused our shift to ORSE [Operational Reactor Safeguard Exam] and pre-deployment training." Our Council thanks Lieutenant Hurley for this detailed update and wish all onboard every success as they prepare for the upcoming deployment! And Bravo Zulu on your successful cruise way up north!